Consumers saddled with mortgage-sized health insurance costs, rising food costs and car payments find it hard to buy overpriced used homes, never mind even more expensive new homes. 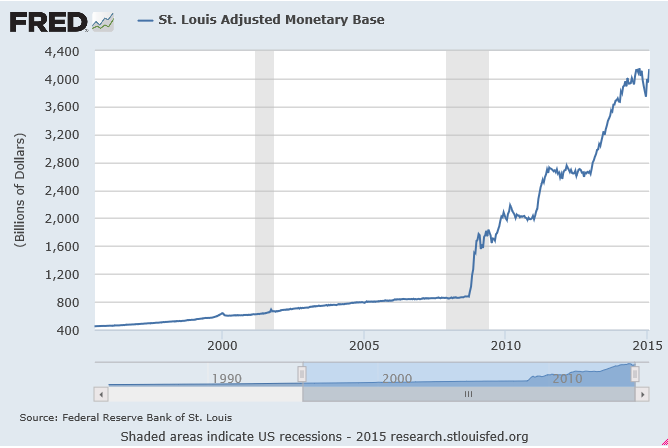 After six years of quantitative easing that “ended” in October, we have been treated to media headlines touting “recovery, recovery, recovery,” and, more recently, copious use of the word “solid” to describe the job market, industrial output and perceived economic growth. We have noted often that the “recovery” in reality has been in rising stock and real estate prices only. We should add the recovery also includes a rise in car sales fueled by record low interest rates and loose credit standards that enable just about anyone who wants to finance a new car to do so. 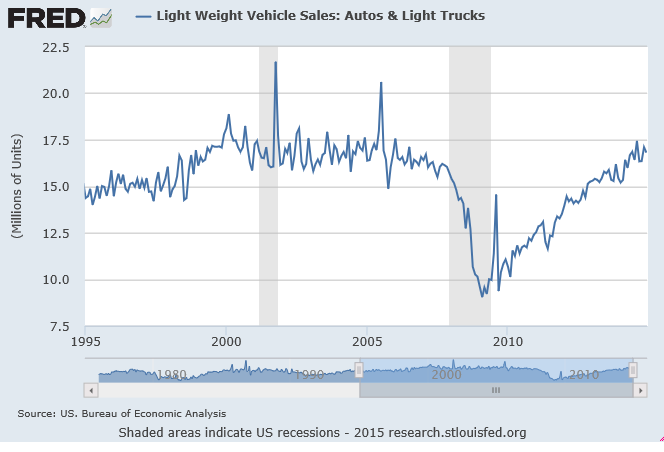 Car prices hit a record high in 2014. 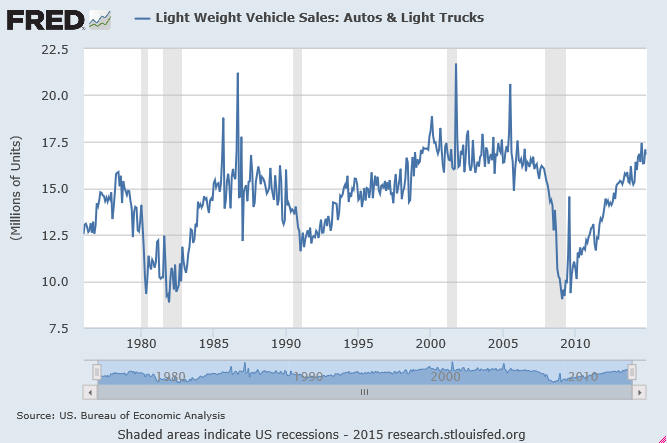 Yet nowhere do we hear the media cheering on higher car prices as evidence of an “auto recovery” because cars are depreciating assets. Rather, they correctly tout rising sales. Rising sales and rising prices, however, are evidence of an artificial market boosted by cheap credit and low credit standards. Never mind the details; if there is one piece of data that can be viewed as positive, it will be touted as evidence of something “solid” in a “recovering” economy. 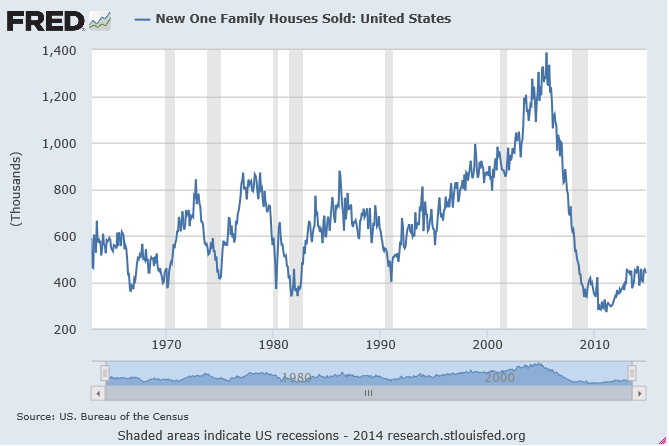 New-home sales are at multidecade lows during the recent housing recovery. Because prices have risen the past two years, a dearth of new-home sales (and tepid existing-home sales) is ignored as the media touts the “gains” in the housing market. 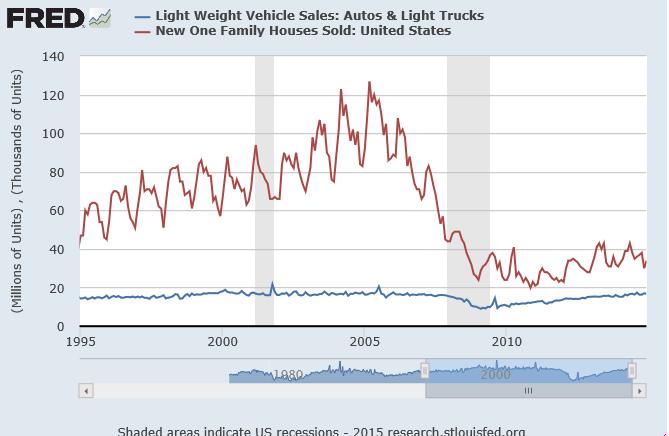 Rising home prices are nothing to cheer about, as they depress sales. Historically low interest rates have not managed to boost home sales. 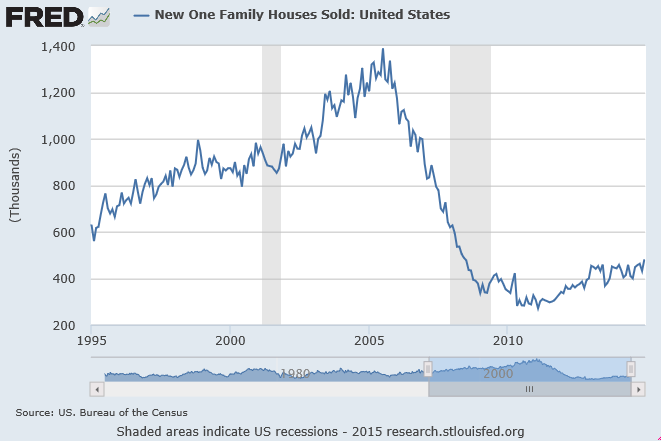 Yet the housing recovery narrative continues unbated. Overlooked in the economic cheerleading about “job growth” is that the growth is entirely in part-time jobs that are going predominately to those 55 years and older. Underreported is the lack of any meaningful wage growth the past few years that would enable people to pay higher home prices. As long as the top-line job number looks “solid,” the “recovery” story remains intact. Reposted with permission from smaulgld.com.